Beautifully designed, powerfully built, the Tab 4 10 is the quintessential family tablet made for sharing in the modern household. Multiple users can open their own accounts for their own customised space within the tablet. 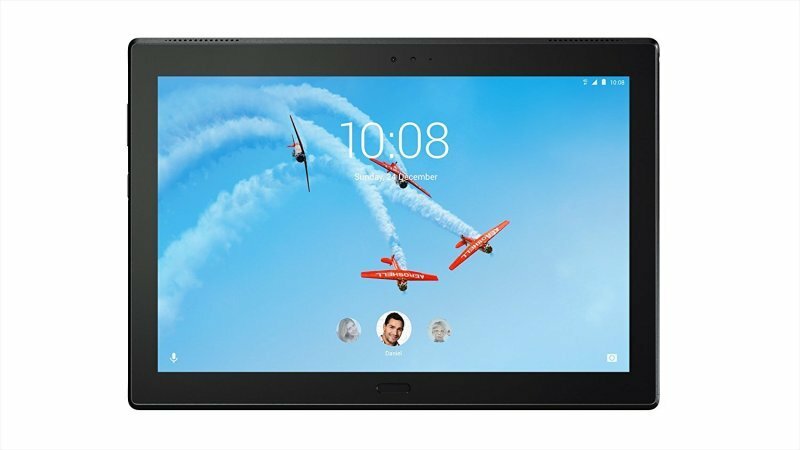 You can specialise them: The Tab 4 10 offers optional packs to transform the Lenovo Tab 4 series into dedicated kid's tablets or productivity tablets. Transform your Tab 4 10 into a 2-in-1 convertible with a Productivity Pack that features a Bluetooth keyboard which doubles as a stand and productive sleeve. This optional accessory pack integrates with the built-in productivity interface, which features a taskbar and instant app switching, support for multiple windows and optimisation for keyboard operations. The Tab 4 10's ultra-slim and light profile-8.5 mm in thickness and 506 grams- offer a unique sleek design you won't find in your run-of-the-mill family tablet. The Tab 4's 10-inch display is made for cord-cutters to deliver an optimal Netflix or Hulu viewing experience. Its high definition screen comes at 1280 x 800 resolution on an IPS display. Dolby Atmos turns the Tab 4 10 into a mobile entertainment experience over headphones and built-in dual-stereo front-facing speakers moving audio that flows above and around the user. Users can expect rich and powerful moving sounds coming from all directions, overhead and with or without headphones. The Tab 4 10 offers robust performance from 64-bit Quad-core Snapdragon processors of up to 1.4 GHz. Coupled with 2GB of RAM, the Tab 4 10 handles any day-to-day task in the home with remarkable ease.